The Baton Rouge Area Credit Union Golf Committee has committed to contribute $250,000 to name the Pediatric Surgery Waiting Area in the new Our Lady of the Lake Children’s Hospital, which is set to open in 2019. Since 2012, the Baton Rouge Area Credit Union Golf Committee has raised over $226,000 for the new Our Lady of the Lake Children’s Hospital. The committee hosts their annual golf tournament each fall that engages local credit unions and vendors. The committee is made up of representatives from the following local credit unions: Baton Rouge Telco Federal Credit Union, Campus Federal Credit Union, EFCU Financial, La Capitol Federal Credit Union, Neighbors Federal Credit Union, and Pelican State Credit Union. Save the date! This year’s Baton Rouge Area Credit Union Charity Golf Tournament will be on Monday, October 22nd at Santa Maria Golf Course in Baton Rouge. For updates about the tournament, please visit Facebook.com/cucharitygolf. 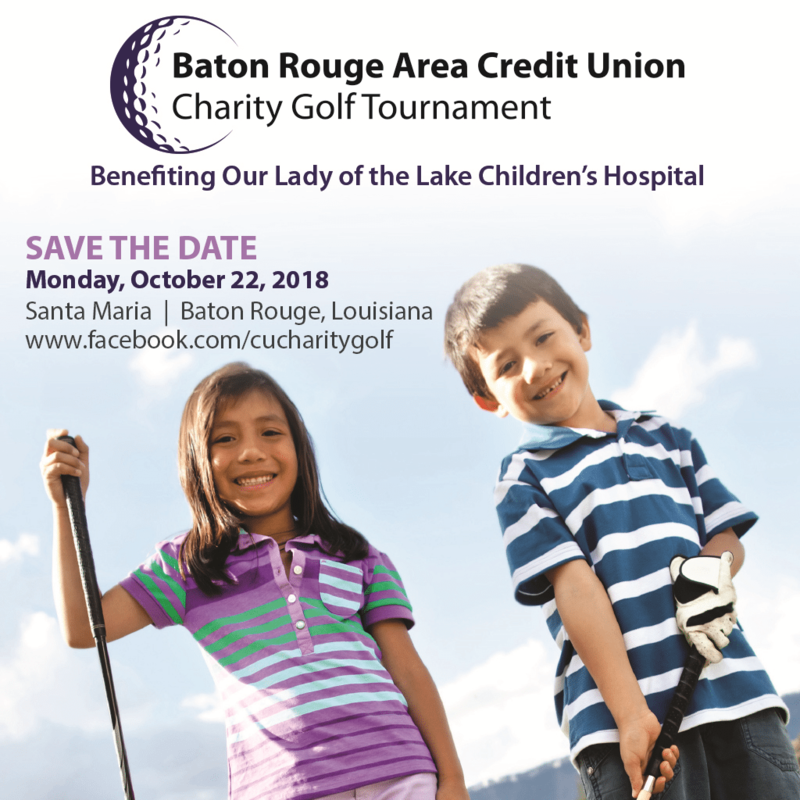 All funds by the Baton Rouge Area Credit Union Charity Golf Tournament will support the freestanding Our Lady of the Lake Children’s Hospital set to open Fall 2019. If you are interested in donating to the freestanding children’s hospital, please visit childrensmiraclenetworkhospitals.org/donate. If you are interested in learning more about Credit Unions for Kids or the Baton Rouge Area Credit Union Charity Golf Tournament, please reach out to Rachael Duris at rachael.duris@fmolhs.org. Next post: Thank you Credit Unions for Kids!